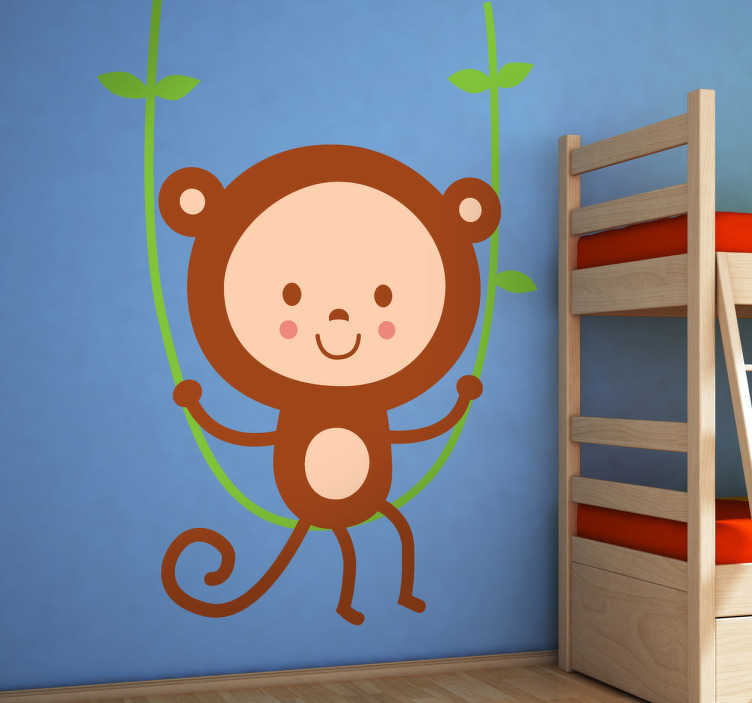 Kids Wall Stickers - Playful and fun illustration of an adorable cute monkey sitting on a vine like a swing. Available in various sizes. Made from high quality vinyl. Easy to apply and easily removable. Suitable for personalising furniture, appliances, devices and more.